If you value your relationship with that special someone, read this page from beginning to end, we promise you, we will show you how to make things better. Feeling Stuck Trying to Get the "Right" Words Out? Don't worry, you're not the only one. Every person in the world has at one point in their lives struggled to say the "right" words so someone can hear them. Sometimes you just can't seem to say what you want to say in the way you want to say it--and it comes out "wrong" or not at all. And the problem is that you usually just end up making things worse. That's how a lot of relationships end up falling apart. That's mostly because people just don't know what to do at first. Or they just decide to not talk about their problems at all. Not talking about it might seem like the "smart" thing to do, since you're avoiding conflict. However, that only shows you're not really giving 100% in the relationship with your partner, lover, family member, or friend. And this could later lead to more cracks and damages in the long run. You may have tried opening up and communicating your feelings before. And your partner just brushed you off like it didn't mean anything or even gotten angry. That's because the "environment" for honest and open communication has not yet established. You may be coming in too strong or not being clear. Your loved one might have something else in their mind, or is just not open to talking about these subjects. But later, we'll show you how to set up the perfect environment that will allow both of you to openly and lovingly talk to each other with trust and love. 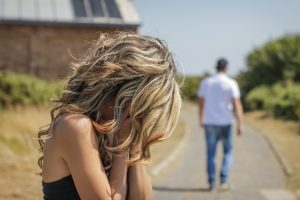 Are there any issues between you and your partner that you "just don't talk about" out of fear of what would happen if you did? Are there times when you wish you could just talk things over without having a big argument or blowup? Do you ever feel distant, disconnected or alone because of your (and your partner's) inability to truly communicate with each other? Do you wish you could both just put down your defenses and walls and give each other the love you both really want? Are there ever any times when you "hold back" and just do whatever is necessary to keep the peace in the relationship? Do you ever "go overboard" and go out of your way to do things you may not not necessarily want to do to please someone in hopes of making things in your relationship go better? Being able to speak the truth openly and honestly in a relationship, along with feeling heard and understood, are some of the biggest challenges that most people face today. We call it... "Talking on Eggshells." After years of trial and error, and working hand in hand, we were able to discover how to stop "talking on eggshells" and how to say what we mean and mean what we say. Hi, we're Susie and Otto Collins. When we both met, and before our "Soulmate Experience," we both came from different painful, long-term marriages that ended up in devastating divorces. 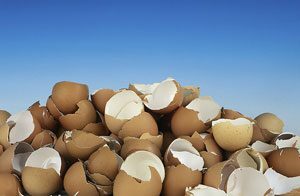 Those past, broken relationships were mostly because we each in our own ways "talked on eggshells." Certain topics were swept under the rug and left to mutate and grow into a monstrous "relationship problem" that could no longer be solved once it finally reared its ugly head. So we knew if we wanted our new relationship together to work long term, we had to figure out how to talk honestly with one another without leaving wounds, scars and bitterness. We've figured out exactly how to make it so easy and seamless, that we promise you, this information will save your relationship. In our own ways, we both talked on eggshells much of the time, especially in the last years of those marriages. Although Otto's ex may have a different perspective on what did or didn't happen in their marriage, as Otto looks back on it, he remembers trying to play the nice guy, bending over backwards and doing whatever it took to please his now ex-wife. He kept things inside that should have been talked about, not wanting to "rock the boat" and just trying to keep the peace. Talking on eggshells for him never worked. It only served as a place within him where resentment and anger lived and grew. Susie's experience with her ex-husband was both similar and different. Over the 30 years they were married, they gradually drifted apart until they didn't have much in common with each other. In the later years of their marriage, although they still loved one another, they found that they were watching what they said to each other and there were times when they just couldn't say anything right. They just didn't understand each other any more and wanted different things out of life. When the two of us came together, we carried those harmful talking on eggshell patterns with us into our new relationship. The two of us had to learn how to be and act much differently if we were to create the kind of love and relationship that we really wanted. 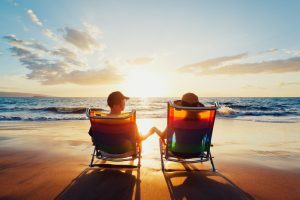 We took a look at how things were going, took a look at our previous marriages and realized once and for all that if we wanted to create a closer and more connected relationship and have it stay that way, we had to change what we habitually did. We had to reverse what wasn't working in our relationship. Luckily for us, we figured out that talking on eggshells, being afraid to say what was on our mind, not being willing to share our thoughts and feelings and not communicating authentically were all things that were going to destroy our potentially wonderful relationship in almost no time at all if we didn't stop. We had to change. The techniques and information we've learned through the years have not only benefited us as a couple, but also men, women and other couples all over the world. You see, for decades, we have been coaching individuals and couples worldwide on how to have the best relationship they've ever had, and will ever have in their life. We've helped people figure out keys to a healthy, long-term relationship and we're proud to say we've saved probably hundreds, maybe even thousands of relationships through the years. "A Practical Guide To Support You In Learning How To Be Powerful and Authentic In Your Communications..."
"They've done it again-- With 'Stop Talking On Eggshells' Susie and Otto have written and created a practical guide teaching skills to support learning to love even more. "Stop Talking on Eggshells" is not only instructive but is a tool to support you in learning how to be powerful and authentic in your communications -- the only true way we can negotiate genuine loving relationships." "Taught Me How To Communicate More Effectively With My Mate..."
"Stop Talking On Eggshells is an excellent tool that will influence couples to understand each other's reasoning for 'talking on eggshells' instead of just shutting down. Your info taught me to communicate more effectively with my mate in order to get the love and affection that I need and deserve instead of just walking away from the relationship. It also showed me what to look for and how to end the cycle of 'the dance' in a relationship--the pulling forward and negatively pulling backward in a relationship. Thank you for allowing me the opportunity to embark on this journey with you. I know that 'Stop Talking on Eggshells' will be a blessing to many." Crystal from Little Rock, AR. 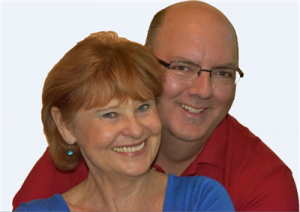 "Practical Help For Anyone Who Has a Desire To Improve Their Relationship or Recapture The Magic..."
"We are excited about some of Otto and Susie's creative ideas to enhance or rekindle the spark in a relationship or marriage. Otto and Susie are experts on the subject of loving relationships. Their ideas are practical help for anyone who has a desire to improve their relationship or recapture the magic. They are experienced, compassionate, and caring coaches, who have a wealth of worthwhile information to help us all improve our most important relationships." "This should be required reading before marriage, just like a blood test!" "Over the course of this week I have read, then re-read, your newest and in my opinion, your finest book, 'Stop Talking on Eggshells.' I say that because it touched a cord I wasn't expecting; at times moving me from chills, to recall and then to tears. Your clear writing, methodical flow, and personal insight spoke to me. I felt as if I was the focus of your writing and that you were speaking personally to me; listening, affirming I was not peculiar, while offering suggestions of hope. Unfortunately, I did not discover you earlier to save my marriage; however, I am convinced by practice that your methods do work! My sincerest thank you for showing me I can have the relationship that I want and deserve! "You really hit the mark this time. Your writing was clear, succinct and flowed beautifully." We've created a course that will give you everything you need to know in order to stop talking on eggshells and start connecting with your spouse or partner in a whole new way. Our new program is called "Stop Talking On Eggshells" and it includes a guidebook and 6 audios that will add additional insights and distinctions to what you will learn from the written material. With this breakthrough new info, we take you by the hand and give you practical, step-by-step instructions on how you can talk to your partner or spouse about anything without fear about how they'll react or what they'll say, think or do. "Stop Talking on Eggshells" includes a Guidebook you can download Instantly to your computer, smart phone or any electronic device. 1. In the introduction and chapter one, we're giving you background information about what talking on eggshells is and why most of us do it. 2. In Part 2, we will guide you through identifying your situation and looking at your problem with new understandings. 3. In Part 3, we give you specific strategies for learning to trust yourself, making conscious choices instead of reacting, speaking your truth from your unfulfilled or unspoken wants, needs or desires and making requests that are able to be heard and understood--and most of all, how to communicate with ease. Woven within the pages of this "Stop Talking On Eggshells" guidebook are our personal stories and the stories of others who gave us permission to use their words with the hope that their stories would be helpful to you as you discover how to create richer, more passionate, alive, growing relationships. There are questions at the end of each chapter to help you examine your specific situation more closely and to give you more clarity about what is best for you and your relationship and how you can best move forward. Audio 1 & 2 "Stop Talking On Eggshells At Home and At Work"
These two audios are the recordings of our teleseminar "Stop Talking On Eggshells At Home and At Work." This presentation is nearly ninety minutes and in it, we show you how to start communicating in a way that will bring you more love, passion, connection in your marriage or intimate relationship. This information will also show you how to have more peace, connection and understanding at work and In ALL of your other relationships too! "Getting Him or Her To Open To You"
These two recordings are from our teleseminar "Getting Him or Her To Open To You". On these recordings, we offer breakthrough ideas for dealing with someone who is distant, standoffish, aloof, disrespectful, non-committal, emotionally unavailable, cold, wishy-washy, unable or unwilling to share his or her feelings, negative, unwilling to work on the relationship, or doesn't see the problems like you do. Money is one of the biggest areas in relationships where conflict comes up. On this audio recording from an interview and live teleseminar we tackle the toughest of tough financial conflicts between couples. ~We will guide you through How to Handle Sensitive Money Issues in Relationship. You will learn the proper way to address who should handle the finances, whether or not to keep separate finances and how to reconcile financial concerns in blended families. If there are any doubts, fears or hesitations coming up right now about how difficult talking with your partner openly and honestly about certain things are, know that the tools in this program can get you unstuck and moving toward a happier, healthier relationship. In fact, any self talk you have that says it isn't possible for your relationship and your partner will only shut you down (again) if you try to talk about what's so important to you, you owe it to yourself to open to something more wonderful happening. The truth is that nothing will change if you don't change something and in this Guidebook and audios, we're giving you the tools to make talking about those subjects that have overwhelmed you in the past much easier than you ever thought possible. If you've read this far on this web page, we're thinking that you're someone who really is interested in more from your relationships that you have right now and you're willing to be open to some new ideas to create something better. Download our complete "Stop Talking On Eggshells" program now and start going through the information right away. This program is the most complete course available anywhere on how to stop talking on eggshells and how to start communicating to connect with your partner or the important people in your life. Nothing has been held back. To make this even better for you, we've priced it so affordably that regardless of what gas prices are, you'll be able to fit this into your budget with no problems. Bonus #4 "Susie and Otto Collins' Love and Relationships Newsletter"--Sent by email and filled with practical tips for creating lasting love and deeper passion. You may unsubscribe at any time. Your satisfaction is assured through our no risk, you-can't-lose, 100%, no-questions-asked money-back guarantee. If for any reason, you aren't completely satisfied with your purchase, just let us know within 60 days and we'll refund 100% of your purchase price. You wouldn't be here right now if you didn't want a happier, easier relationship with less stress, worry and fewer damaging disagreements. 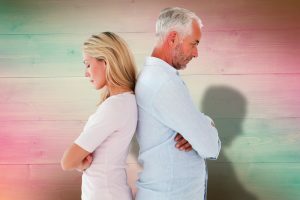 We know it's possible for you to start opening your spouse, partner, or lover's heart so you're able to resolve those issues that have tugged at your relationship for maybe many years. We know it's possible for you to feel close once again without all the drama that seems to now be there between the two of you. It's time for you to start getting more of the love, passion and connection that you want. Click the "Add to Cart" button above to get our "Stop Talking on Eggshells" program to start creating a happier and healthier relationship. We wish you all the love and happiness you want! P.S. We've made this program incredibly affordable at only $67 and offer a money-back guarantee for 60 days--so you can't lose! P.P.S. Act now to take advantage of his program at this price. You have nothing to lose by clicking the "Add to Cart" button right now.